It’s a situation no one wants to be in. Multiple phone calls throughout the day, always demanding payment for bills you can’t afford. The constant messages left on your voicemail, the calls at your workplace or to friends and family, all of it quickly becomes both embarrassing and stressful. No one likes being contacted by debt collectors. But is there anything you can do about it? What are your legal rights when dealing with them? In this article, we will cover what collection agencies are, the rules they have to follow and what you can do to stop the constant harassment. 1 What is a collection agency? 3 What are collection agencies allowed to do? 4 Can a collection agency call my friends or family to talk about the debt? 5 Can a collection agency withhold information about a debt? 6 Can a collection agency keep calling me after I tell them not to? 7 Can a collection agency keep harassing me about a debt I don’t own? 8 Can a collection agency garnish my wages? 9 Can a collection agency ruin my credit? 11.3 Don’t believe what they say. 11.4 Don’t pay or negotiate with them during the debt validation process. 11.5 Don’t try to hide money. 11.6 Don’t apply for new lines of credit. 13 How can I get collection accounts removed from my credit report? 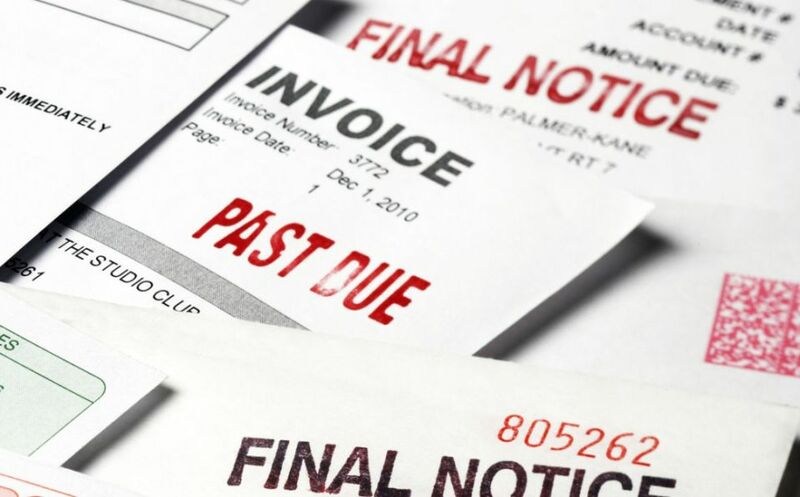 A collection agency, or debt collector as they are also known, is a company that pursues debts on behalf of creditors. These agencies employ a number of methods to get you to pay your debts including phone calls, letters, and in some instances, lawsuits that may lead to asset seizure or wage garnishments. There are two main types of collection agencies – third-party debt collectors, and internal collection departments. In most cases, you deal with your creditors’ internal collection departments for the first 90 to 180 days that your debt is delinquent. The internal collection department is still your original creditor, though you will be speaking with agents specifically trained in debt collection versus customer support. Depending on the company, you may be able to negotiate flexible payment terms and prevent harmful information from being reported to the credit bureaus. After 90 to 180 days, many companies will sell your debt to a third-party collection agency for pennies on the dollar. Others will contract debt collection agencies to act on their behalf – and they only get paid if you pay up. Those third-party agencies may or may not be able to negotiate, but if your account has been handed over to collections, you’re already looking at negative marks on your credit report. If you do choose to negotiate with a debt collection agency on your own, you must get everything in writing. These companies are notorious for taking advantage of unwary consumers who make verbal agreements over the telephone. What are collection agencies allowed to do? There are strict regulations about what collection agencies can and cannot do in the United States. The Fair Debt Collection Practices Act (FDCPA) prevents the use of abusive or deceptive tactics to collect any debt, whether or not you actually owe it. Here are answers to some of the most typical questions we receive about collection agencies. Can a collection agency call my friends or family to talk about the debt? They are not allowed to speak to anyone about your debt other than you, your attorney, and in some cases, your spouse. However, they can call your friends or relatives in an attempt to find out where you live to get contact information so that they can phone or write you. In most instances, they are only permitted to contact your friends or family members one time, and may not continue to make harassing phone calls. Can a collection agency withhold information about a debt? Not legally. 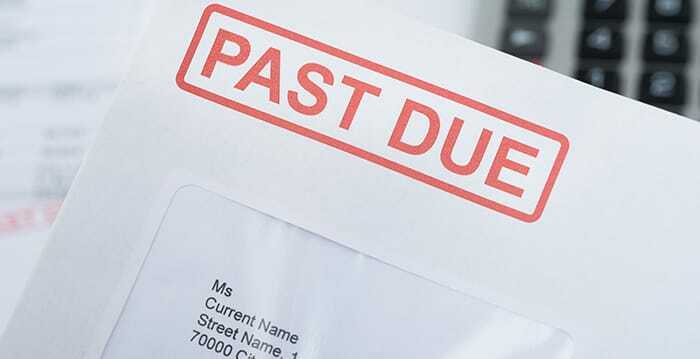 Collection agencies are required to notify you in writing within 5 days of their first contact with you that you have the right to dispute the debt. In addition, you have the right to request (in writing) the name and address of the original creditor. You also have the right to request verification of the debt – that is, the name and address of the original creditor along with the amount they claim you owe. If they can’t provide this information, it cannot legally pursue payment. Can a collection agency keep calling me after I tell them not to? Yes and no. Just telling them over the phone not to call you won’t help. You have to submit the request in writing. After that, they can only contact you to let you know they will be ceasing collection efforts, or that they will be taking a specific action against you, such as filing a lawsuit. Can a collection agency keep harassing me about a debt I don’t own? Absolutely not. If the collection agency can’t prove that you owe a particular debt, then they aren’t allowed to try to collect it from you. This is particularly true in the case of identity theft – so long as you’ve filed the proper notices and reports. Just because your name is on the paperwork, it doesn’t necessarily mean that the debt is yours. This is particularly the case if you have a very common name or relatives with similar or same-sounding names. Always verify that a debt is legitimate before you let a collection agency pressure you into making a payment. Can a collection agency garnish my wages? That depends. Some states allow wage garnishment, while others do not. It is important to note that if you are in a state that does not allow wage garnishment, it is illegal for them to threaten to garnish your wages. It is also illegal for them to make any claims they cannot or will not follow through on – this includes threatening to sue you or to foreclose on your home. Can a collection agency ruin my credit? Collection agencies in and of themselves don’t ruin your credit. However, missed payments over several months will cause a hit to your credit scores. Couple that with a collection account reported on your credit file and a collection agency can impact your ability to qualify for new credit. They often buy and sell debt from one another, so this can lead to multiple collections showing on your credit reports for the same account. When this happens, if you don’t dispute the errors on your credit report, the collection accounts will definitely have a negative impact on your credit scores. Debt validation. Under the FDCPA, you have the right to “debt validation.” Debt validation requires the creditor reporting the information to prove to you that the account is really your responsibility and the balances, etc. are accurate. All personal debts are covered, including personal credit cards, auto loans, household bills, and your mortgage payments. They may not threaten or harass you. They cannot legally call you repeatedly to annoy you. They are not allowed to swear at you, or publish a list of debtors publicly. They must be honest about who they are and what they are trying to do. They must notify you that they are a debt collection agency both orally and in writing. they cannot threaten to have you arrested, and they are not allowed to threaten to take legal action if they have no intention of doing so. It’s also important to note that the FDCPA covers all third-party collection agencies, and in some cases, your original creditors as well. If your original creditor attempts to collect a debt using a different company name, they are also subject to the provisions of the FDCPA, the same as an unrelated third-party collection agency. NEVER talk to a debt collector on the phone. Nothing good can come of it. The less they know about you, the better. Politely tell them it’s your policy to deal with everything in writing and then hang up. If they keep calling, send them a cease & desist letter. If you must talk with them, record them. Thirty-five states and the District of Columbia allow you to secretly tape your phone conversations. In the other 15 states, you can tape with the other party’s permission. If you tell the debt collector you are going to record, and they keep talking, that’s considered giving permission. Usually, they hang up. Collection agencies are known to make false threats, lie, and tell you whatever they need to tell you to get you to pay. Don’t pay or negotiate with them during the debt validation process. Make sure it has been validated before doing so. It’s considered fraudulent to hide money or assets from collection agencies if you owe them. Don’t apply for new lines of credit. It’s also considered fraudulent to apply for new lines of credit if you are unable to pay your current creditors. You can do things on your terms, but ignoring the situation will not make them go away. Ignoring them sets you up for a possible lawsuit. First, get proof of the actions that the collection agencies are taking. You may be able to record telephone conversations without their knowledge, depending on your state’s wiretapping laws. If you live in one of the following states, you cannot record the conversation without notifying the collection agent: California, Connecticut, Delaware, Florida, Illinois, Maryland, Massachusetts, Michigan, Montana, New Hampshire, Pennsylvania, and Washington. If you live in one of the states listed above, have a witness to listen in during the conversations so you have someone who can corroborate what was said. Once you have proof, file a complaint with the Federal Trade Commission (FTC) at this site. The FTC keeps a list of debt collection agencies that are banned due to illegal collection activity. At the time of this writing, there were more than 100 firms on the list. If one of these firms are contacting you, they are in clear violation of the law. How can I get collection accounts removed from my credit report? If debt collectors are harassing you, chances are you already have collection accounts on your credit report. Follow these 5 steps to clear up your credit. Get free copies of your credit reports. You can order free copies of your credit reports once a year from AnnualCreditReport.com. Review your credit report to see if the collection account was reported. If it was, confirm that the dates and amounts listed are correct. If they aren’t, you can dispute this item on your credit profile. Note that the credit bureau’s dispute response time jumps from 30 to 45 days when you access your report from AnnualCreditReport.com instead of paying for it. Request debt validation from the collection agency. While you are working on getting copies of your credit reports, don’t forget to request validation from the collection agency. Remember, they only have 30-45 days to respond to your request. If they don’t, then you’re off the hook for the debt. Dispute all errors with the credit bureaus. Any error on your credit file may be disputed. This includes the wrong dates, the wrong amounts, more than one collection agency reporting the same debt, or any items that are questionable. Keep track of your progress. There are multiple timetables involved in disputing an inaccurate item in your credit file. Keep track of what you’ve sent and when you’ve sent it to have the best option for removing these negative items from your credit profile. If you’re overwhelmed at the prospect of dealing with debt collectors, having a professional credit repair specialist may make things easier for you. Check out our reviews of the top credit repair services that can help you get rid of collection accounts caused by unscrupulous collection agencies.